Watching movies at theatres have become a great past time for people all over the world. You could see people visiting theatres with their families and friends to enjoy their weekend or other holiday seasons. The experience of watching movies at theatres has changed and evolved since the introduction of cinemas. During the initial days of movies, people were so amazed to see the black and white movies, then their experience elevated with introduction of sounds, colours, special effects, etc. Few decades ago, people were awestruck to watch the 3d movies. In recent days, the invention of 5d/6d cinema allowed the movie viewers to plunge into the world of virtual reality. Most people are not much aware about 5D/6D cinemas as like 3d cinemas. The 5D cinema theatres not only have big screen and 3d glasses and more than that. The 5D/6D cinema theatres will have special effect seats, which moves, vibrates according to the movies on the screen. Such theatres will also have special effects generator, which may generate smoke effect, rain effects, bubble effects, wind effects, etc. The 5D/6D cinemas have improved the realism in movie watching. In recent days, 5D/6D theatres are becoming a major entertainment centre. Nowadays, most malls, amusement parks and entertainment facilities are having 5D/6D cinema theatres, which have become a major crowd puller. In India, 5D/6D cinemas are gaining immense popularity day by day. Such movies take the people to a new level in terms of movie watching experience. From small kids to adults, 5d movies have become a great entertainment. One should remember that watching a 5D/6D movie is a thrilling experience and it could even like enjoying a fun ride. Mall owners and amusement park owners can simply boost their profits by having such cinema theatres in their premises. Installing and setting up a 5d theatre requires lot of planning and time. There are so many legal obligations and other requirements to be satisfied in order to construct a 5d theatre. 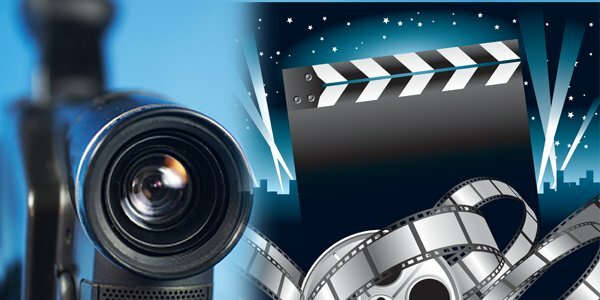 Hiring the service of a good 5D/6D cinema theatre manufacturer is the most important thing. All the equipment, including screen, 3D glasses, seats and hardware equipment, should be of good quality and should installed properly. If the things are not handled properly, then theatre may not give the best results and may also put safety under risk. When you select the best 5d theatre manufacturer, one can have the best 5d theatre installed in their premises. A good manufacturer can satisfy the requirements of the mall owners at its best. They can deliver customized products according to the mall owners wish and work continuously with the mall owners to achieve the desired results. One should remember that maintaining a 5d theatre is also tedious job. Mall owners should make sure that all the parts and components of the 5 theatre are properly working and properly serviced. A good 5d theatre manufacturer can also take care of the maintenance issue and supply the necessary spare parts on time, thus keeping the business on run without any interruptions. If you want to find out the best 5d cinema theatre manufacturer India, you need to search the Internet. Doing some simple search engines on the Internet may help you in getting the list of manufacturers in India. However, in order to find the best one, you need to do a deeper research and analysis. You need to check the number of previous projects and their success rate to determine the efficiency of the 5d manufacturer. Take more time visit the websites of different manufacturers and this would help you in knowing the best manufacturer in the country. Watching a 5-D cinema with family is really an good idea to have a enjoyable moment. Such cine,mas have a special effects which attracts almost all member of the family. Have a try and comment back here..!! !